BILLING STAR SOLUTIONS is pleased to announce that it has chosen Compliancy Group to help satisfy HIPAA compliance. 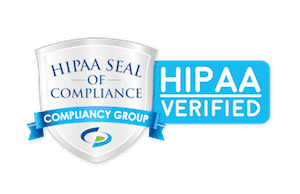 BILLING STAR SOLUTIONS is pleased to announce that it chosen Compliancy Group to help meet the federally regulated standards of the Health Insurance Portability and Accountability Act (HIPAA). BILLING STAR SOLUTIONS has begun implementing a full compliance program, adhering to the necessary regulatory standards outlined in the HIPAA Privacy Rule, HIPAA Security Rule, HIPAA Breach Notification Rule, HIPAA Omnibus Rule, PCI, and HITECH. Upon completion the standards will be heavily vetted against the letter of the law and will meet federal NIST requirements. At BillingStar Solutions, we provide the most innovative and powerful solutions in the market today for medical billing consulting services. Our cloud based and highly secured technologies gives your practice complete access from any computer with internet access. Our claims filing service offers a cure for your cash-flow challenges. We can quickly solve your insurance billing problems by filing your claims electronically and collecting from your patients swiftly and efficiently. We don’t get paid until you do, hence we have a vested interest in your receivables. Visit us at https://www.billingstar.net for a description of all our services.